Do you remember how you felt when you were 29 and turning 30 knowing you were leaving your free-spirited 20’s behind? When you reached the other side of 30 you had little choice other than to adjust and move on. Possibly you came to the conclusion that aging wasn't so bad after all. Aging-In-Place is a relatively new term reserved for the senior set when they choose to continue to live at home for as long as possible. Statistically 90% of seniors between 60 - 69 say they would prefer to age at home and reveal a positive attitude towards achieving his goal. Yes, they are aging, just like you did when you turned 30 and they too are coming to the realization that getting older isn't so bad after all. Living a fuller life, one can choose to continue to work or physically continue to enjoy what life has to offer. There is a local Doctor who speaks of his 26 patients who are over the age of 100. Two of these people are still actively working and many of the others claim to be enjoying their lives. These reports boost the confidence about aging well. Research is beginning to show that the fear of growing old is often more debilitating than the actual act of living. Fear of aging has been fueled by a society that associates aging with a negative connotation. The baby boomers are changing that negativity to a positive way of thinking and are forging a path that will benefit all of us for generations to come. Living their adult lives in relative peace and prosperity, baby boomers today are not ready to give up what they are accustomed to and therefore, are choosing to remodel their homes to accommodate their anticipated needs as they age. Realtors are saying that homes that are being modified for his purpose are worth more on the market than those not remodeled. Our visionary baby boomers are changing the future for senior living for the better. It is becoming more the norm for seniors to be engaged in healthy outlets and yet this is not how seniors are portrayed in the news. Words like ‘a drain to the economy’, ‘dementia’ and many other negative phrases tend to focus on rising costs associated with senior living. Often we see articles focused on dementia, but the media is not providing balanced reporting by not revealing that the percentage of seniors will never get dementia. It’s easier to sell sensational news then tell the full story. If our media would focus more on the positive, perhaps we would see a decrease in the number of seniors who have debilitating fears of aging. Unfortunately, the US is years behind in their planning for the growing senior population. However, many private enterprises are developing creative solutions for senior safety and functionality. New industries are creating services to help a senior reach their goal of living at home. For the last 15 years these organizations have made great strides in growing their list of supportive services. Two industries in particular are making the news as new entrepreneurs open senior service businesses and vendors are focusing on products to help seniors live well. NAPO (National Association of Professional Organizers) and NASMM (National Association of Senior Move Managers) are helping baby boomers and older seniors to downsize, organize their homes, manage documents, mail, checkbooks, prepare for a move and much more. Customization of these services are created to fit the specific needs of the individual client. Members of these organizations are being educated to continue help even while a client begins to experience slight cognitive impairment. These services are often implemented before companions are hired. The ‘AT HOME’ specialist will coordinate the hiring of companions, social workers, patient medical navigators,ec. and become the eyes and ears for the family. 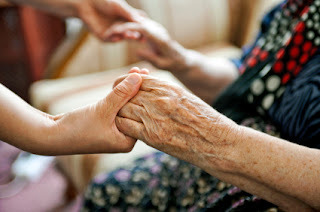 Alleviating the stress felt by both the Adult Child and the senior, NASMM developed ‘AT HOME’ services. Downsizing, creating safe homes, installing senior friendly furniture, introducing and installing state-of-the-art-products benefits seniors and brings peace of mind to the whole family. These specialists become the trusted liaison between seniors and families. These services are bridging the gap of the busy or long distance Adult Child and their senior parent. Embracing this new support, seniors can and will live more positive and healthy lives and won’t feel so alone and isolated. Reducing the day to day tasks, a senior will have a better chance to get outside their home and live fully. You get THE call. “Sorry to tell you, but your parent had a fall.” Another call could sound like this; “Hi, this is Linda from the Emergency Room at All County Hospital and your parent was brought here because they were having problems breathing.” A life altering incident can occur so quickly and unexpectedly. For other families, a change can occur in the form of a decrease in a parent’s cognizance, and because it happens so slowly the telling signs are overlooked. Families should learn to become proactive, not reactive. Waiting to deal with emergencies when they happen can cause confusion, sibling frustration and has the potential for poor decision making. IT IS NEVER TOO EARLY TO SIT AS A FAMILY TO WORK ON CONTINGENCY PLANS FOR LIFE’S SURPRISES. This article was published in the 5 Towns Jewish Times. Prepare your valuables by taking inventory of what you have and pictures of each item for insurance purposes. Plan on taking these with you and don’t pack these in a box. By the way, most movers now know the word silver in Hebrew, so don’t use Hebrew for code words. Place estimates, business cards and notes in this folder. Keep the folder in a place for easy access as you will be adding other notes and information about your move in this folder. Make a task list for yourself. Include transferring prescriptions, arrange for refunds on last month deposits, start using up your food and cleaning supplies. Create a list of your bank, credit card, car and investment companies, etc. to inform them of your move. Make a date when you will fill out your move forwarding cards at the post office. Arrange to stop your gardener and utilities. Forward your phone number to your new address. 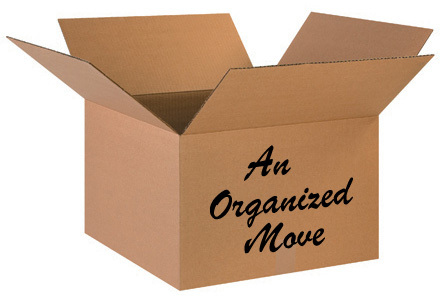 Organizing a move reduces the stress associated with a move. Give yourself three months before a move to begin your plan of action. There is a growing trend today for seniors to choose to live at home for as long as possible. This is being made possible by a variety of ‘at home’ services. The commonly known provided services are companions, visiting nurses and doctors who make house calls.